The cuisine of Puerto Morelos consists of cooking the daily catch and many restaurants make delicious Mexican and international dishes with fresh fish. This is a television coverage by Puerto Morelos TV about El Pirata, that will guide you through the exquisite process by which the products of the sea are transformed into delicious Argentinian dishes. An activity that you can do before finishing the day and before dining at this incredible restaurant is swimming with dolphins in an innovative and sustainable habitat in Puerto Morelos. After connecting with nature and living with these marine mammals, you will surely be willing to eat a rich Argentinian flank steak, fried calamari or butter lobster. 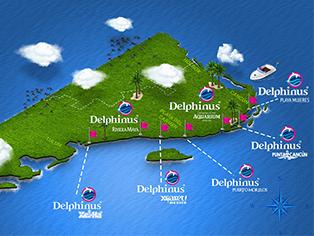 At Delphinus we want your stay in the Mexican Caribbean to be awesome. Reserve your favorite activity at our habitat in Puerto Morelos and get ready to experience the best part of your vacation.